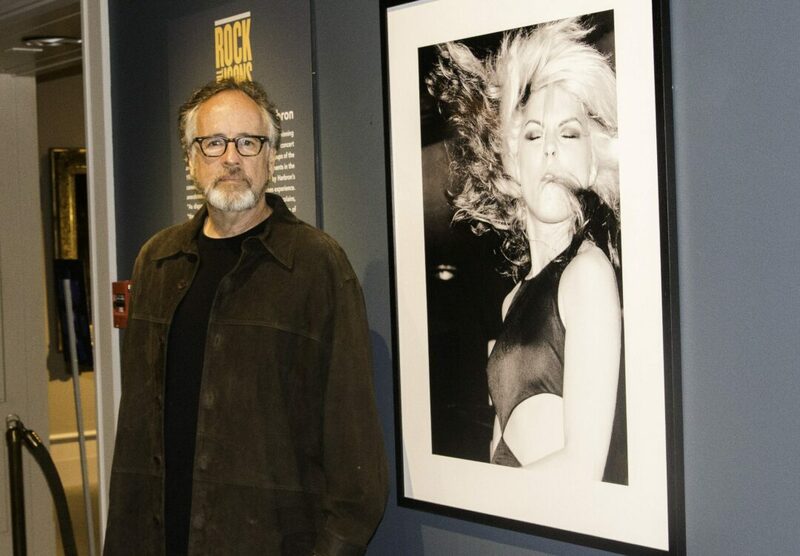 Patrick Harbron stands next to the image of Debbie Harry he captured in Toronto in 1978. It is one of several of his photographs on display at the Albany Institute of History & Art. Photo by Jim Gilbert / NYSmusic.com. ALBANY — The photographer stands in front of a print of a young Bruce Springsteen squatting down and looking out upon the crowd as he straddles his guitar. In Lawrence Kirsch’s “The Light in Darkness,” a book covering Springsteen’s “Darkness on the Edge of Town” tour, Harbron described The Boss’ music as “grand but not arrogant.” The same could be said for the photographer who penned the words. The helix of Harbron’s career wraps around a pivotal time line in rock and roll history — out of the infancy of touring county fairs and maturing in front of sports arenas. He has followed and captured the likes of The Who, B.B. King, KISS, Prince and Blonde, in their respective primes, yet recalls stories of his personal interaction with these legends devoid of pretense. Harbron began his concert photography career capturing local acts in the Canadian media hub of Toronto, Ontario. 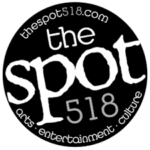 At the onset of the 70s, Toronto was a blossoming music scene teeming with local acts while being a natural stop for the largest personalities in rock and roll. Born to a photographer as a father and an editor as his mother, Harbron’s lifework began covering concerts as a freelance journalist. Having a natural proclivity for both film and prose, he said he had difficulty choosing on which career to focus. “When I saw how large the picture was, and how [much smaller] the article was, the choice was easy.” he said. The Albany Institute of History & Art is showcasing Harbron’s work in its latest exhibition “Rock & Roll Icons: Photographs by Patrick Harbron” from Nov. 12 through Sunday, Feb. 12, 2017. The exhibition includes some of Harbron’s concert posters, memorabilia and souvenirs, as well as items on loan from the Rock & Roll Hall of Fame. The exhibit includes Harbron’s collection of concert and promotional posters and personal memorabilia he collected over the years. Much of the work on display, including album covers, books, magazine and publicity shots, have not been viewed before. A black and white image of Debbie Harry tossing her hair is the lone image displayed on the show’s promotional material. It’s a picture Harbron captured at El Mocambo Club in Toronto in 1978. The contrast between her skin and platinum (and black) hair against the backdrop of the club shows a flash was used — a no-no for today’s photographers. Camera technology had advanced so far as allowing photographers to capture images in low-light environments by tweaking their ISO setting. ISO once distinguished a film’s sensitivity to light. A roll of 100 ISO film was best used for bright, outdoor shots, where 800 ISO film was best for indoor, low-light action shots. Harbron commonly shot shows with 400 ISO film with a shutter speed of 1/125. Today’s high-end cameras are capable of shooting at 25,600 ISO (so, a flash would be unforgivable). Harbron’s body of work includes two JUNO Award nominations for album cover photography. His work appears in magazines, advertising, annual reports and books. His clients include Rolling Stone, Time, People, and Business Week. His style of photography has lended him opportunities in photographing advertisements for Apple Computer, IBM, American Express, AT&T, PepsiCo, and Nabisco, among others. He now works for television network programs like “Marvel’s Daredevil” on Netflix, and is a faculty member of the International Center of Photography.